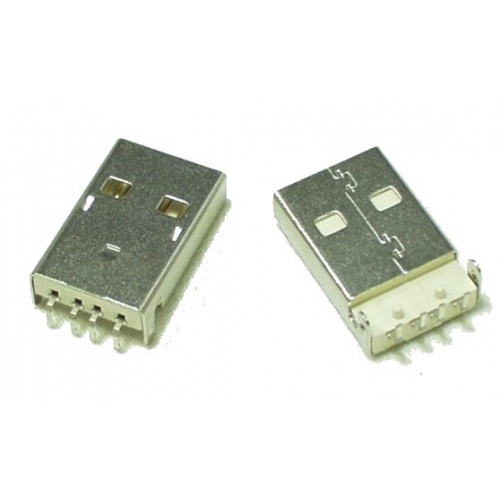 USB Type 'A' Male connector. Ideal for making very small USB dongle devices that plug directly into a computer USB port or through a USB A to A extension cable. This is a through hole part but can be easily modified for surface mount use.